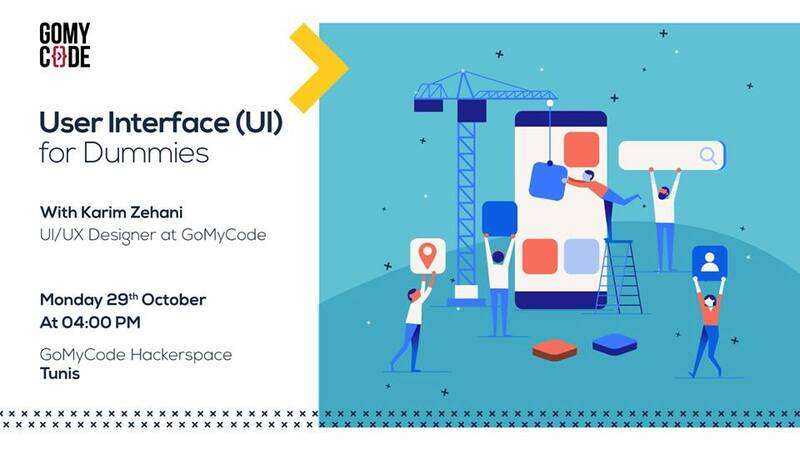 Home / événements / Formation Tunisie: Our UI/UX Design Workshop Series continues ! Formation Tunisie: Our UI/UX Design Workshop Series continues ! Our next workshop will be an introduction to User Interface, through which you will become familiar with the term “User Interface” and the type of projects and processes it encompasses. - What is User Interface ? See you on Monday, October, 29th starting from 4PM at GoMyCode Hackerspace TUNIS.